Soundscapes Digital presents a bumper release featuring 6 mixes, whilst covering various genres of the electronic spectrum. In-house talent Chris Sterio, Jairus Miller, Sean McClellan, Eric Rylos, Kravisters, as well as newcomer Murtaza, all team up to give this EP a unique edge. 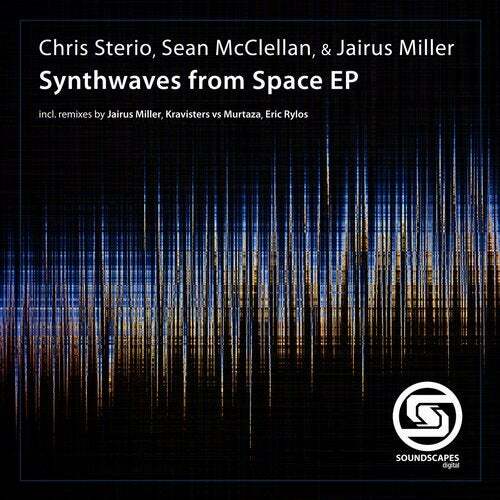 A fusion of "Sunset From Space" by Sterio and McClellan, and "Synthwaves" from Sterio and Miller, the "Synthwaves from Space EP" produces an atmospheric sonic journey like no other.